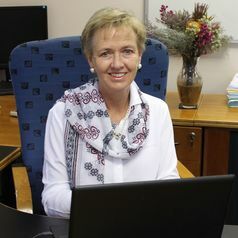 Di Wilmot is an experienced geography teacher educator and researcher and is currently the Dean of Education at Rhodes University, South Africa. Her PhD research focused on teachers as recontextualisers of curriculum policy and the model of teacher professional development which enabled the teacher empowerment - both epistemological and political - that took place. Her current research interests include curriculum transformation and reorienting geography education to Education for Sustainable Development. Di is a member of the Steering Committee of the International Geographical Union's Commission on Geography Education and is involved in international curriculum research projects. She has presented papers on her research at international conferences in the UK, China, the US, Finland, Germany, Singapore and Portugal. She supervises post graduate students and has published and reviewed papers for national and international journals. Di chairs the Board of the Institute for the Study of Englishes in Africa and the Centre for Social Development at Rhodes University.